We’ve all had that moment of frustration watching something unfold in the media – the scientific evidence is clear cut – why isn’t it changing policy? It seems ‘bleedin’ obvious’ to us! So we rant in the tearoom among our colleagues and students, and then go back to our offices feeling slightly better after a good vent. However, scientific literacy can be low among the public and we need scientists to help interpret the science, and improve scientific literacy among the public by providing ‘expert opinion.’ Climate change and childhood immunisations are two examples where the scientific evidence points clearly in one direction, but where the science and scientific process is not well understood by the public. It’s a two-way street though and scientists need to get better at communicating science. So I have taken the step to speak out in the media in areas where I’ve felt I have the expertise to do so. While other ecologists have taken the road of joining and supporting NGOs to aid their advocacy, I have taken the stance not to join conservation NGOs, as I feel it’s important to be independent. I’m still finding my way on advocacy though (and would be interested in views…). The issue of credibility is a difficult one. Sir Alan Mark, one of the first academics in New Zealand to use science to advocate for environmental policy change, speaks of ‘taking a back seat’ on one particular environmental issue ( the proposed aluminium smelter at Aramoana) because he was concerned about being labelled “a perpetual stirrer” and his involvement potentially weakening the environmental case. A pertinent reminder to us all, that always leaving the same one or two scientists to engage with the media is likely to result in a loss of impact. 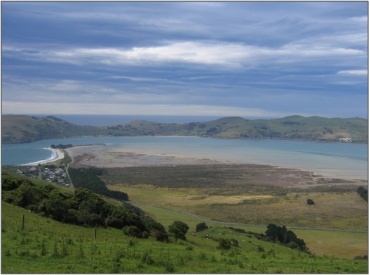 Ecological significant saltmarsh at Aramoana, New Zealand (Photo: Otago Regional Council). Proposed site of aluminium smelter in the late 1970s – became the focus of environmental protest. Proposal abandoned due to falling commodity prices. Make no mistake; it is a risk to us personally to speak out in the media on very contentious issues – particularly where jobs and industry are at stake. It is much easier to sit in our academic ’ivory towers’ and just publish the science in publically inaccessible academic journals. Scientists have been criticised in the public arena when they have commented on issues very important to the country’s GDP, such as dairy farming. We recently had a taste of this when 25 staff from our university’s Faculty of Science submitted on NZ’s climate change targets. An opinion piece in the newspaper soon after mocked us: “How lucky we are, we are endlessly told, to have the academic Conclave up the hill, away from the cares of the workaday world, able to think and ponder, and tell us what to do.” I have also been called an ‘ecoterrorist’ by a nursery owner taking umbrage with my media release supporting the local council’s proposed policy banning weed species. However, the role of academic staff in speaking on matters that affect New Zealand society is enshrined in The Education Act (1989) – which legally requires that universities “accept a role as critic and conscience of society.” This is becoming increasingly important as scientists in local and central governmental organisations are discouraged from publicly commenting on contentious issues or policies. So who is an expert? No matter what we believe – no one is totally objective – we are human, and everybody has their own personal contextual framing. 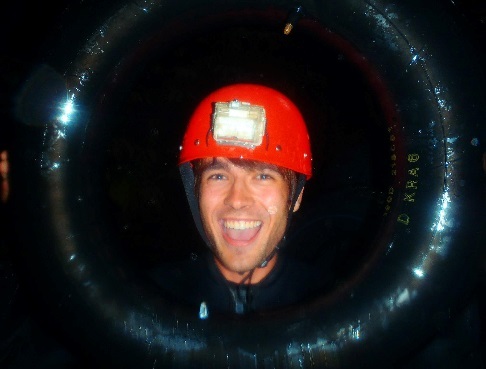 As an ecologist, I have particular set of values that guided me into that career path. However, as long as we are interpreting and critiquing scientific knowledge using the scientific process, we should continue to provide expert opinion on the science. 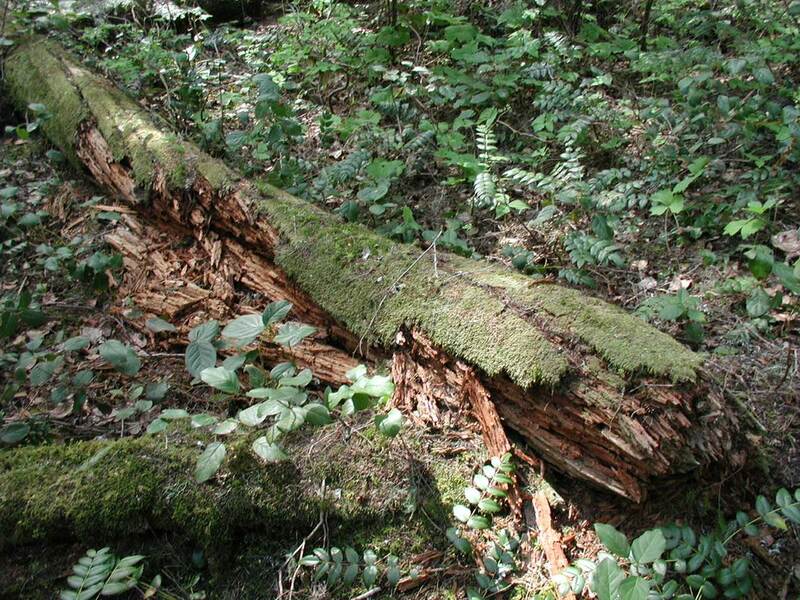 Although I have not undertaken research on the role of coarse woody debris in ecosystems, I chose to comment in the media last year when a law was changed to allow the harvesting of windblown timber from old growth forest. I have lectured on the role of coarse woody debris in ecosystems for many years, and am well-versed in the literature. For me, it was a no-brainer. There was very little science at all in the media surrounding this contentious issue, and I had all the literature in front of me, with the appropriate ecological expertise to interpret it. However, we should also be aware that all the scientific evidence in the world does not directly change behaviour (e.g. smoking) and may not change policy. In my view, a good outcome of this media engagement was that several members of the public commented that they had no idea that rotting wood was so important in forests. I’d given them access to scientific knowledge that is locked away in journals. It’s also important to remember that it’s not the job of scientists to write policy – managers/policymakers will use our science to make decisions and change/keep policy. They will do so in a socio-political landscape (e.g. likelihood of job losses) – something ecologists don’t often have to take into account. Nevertheless, increasing science literacy among policymakers is a very important task; it will enable them to critique the science (and uncertainty) they are presented with. So what should scientists be aiming to do in their interactions with policymakers and the public? It is the job of scientists to: 1) ensure scientific results and literature are available in a form for public consumption; 2) make sure policymakers are exposed to current scientific evidence; 3) increase scientific literacy (ie. understanding of scientific process) of the public and policymakers; and 4) comment on issues where science is lacking or has been misrepresented in the media. So next time you’re frustrated with the lack of science around an issue playing out in the media, don’t just vent to your colleagues in the tearoom, join with your colleagues in engaging with the public and policymakers. It’s not easy being a city slicker; vainly calling over car noise, isolated from my friends in a small patch of forest, narrowly avoiding a cat (I’m allergic; also, see Sam’s post). And that’s just me. Urban birds must navigate these conditions too, and for them, it can mean the difference between life and death. By measuring a number of these pressures, I hope to elucidate which abiotic and biotic drivers mould the avian assemblages of Auckland city for my MSc. Urban ecology studies are a relatively new area of research, as people around the world are increasingly drawn out of a bucolic lifestyle and into the jobs and excitement that cities can provide. The sprawling city of Auckland spans out from the concrete jungle of the CBD, through a gradient of increasingly green urban and suburban areas and onto rural outskirts. Our bird friends are found throughout, so I will be assessing the difference in bird abundances and composition across this environmental gradient. Additionally, I will be looking into what drives bird composition within urban habitat fragments. By assessing housing density, fragment size, noise pollution and a myriad of other urban characteristics, I hope to determine which of these are most important for providing a suitable home for our birds. 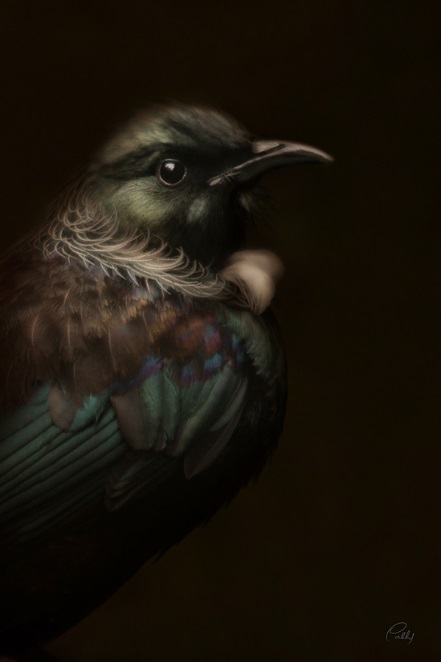 Previously, the words ‘all bird observations will occur between 5 and 9 am’, had filled me with much apprehension, but after overcoming the dread of waking at such an ungodly hour, I have become most earnestly committed to the birds of Auckland city and relish getting up to listen to the beatific morning chorus. Hoot hoot! 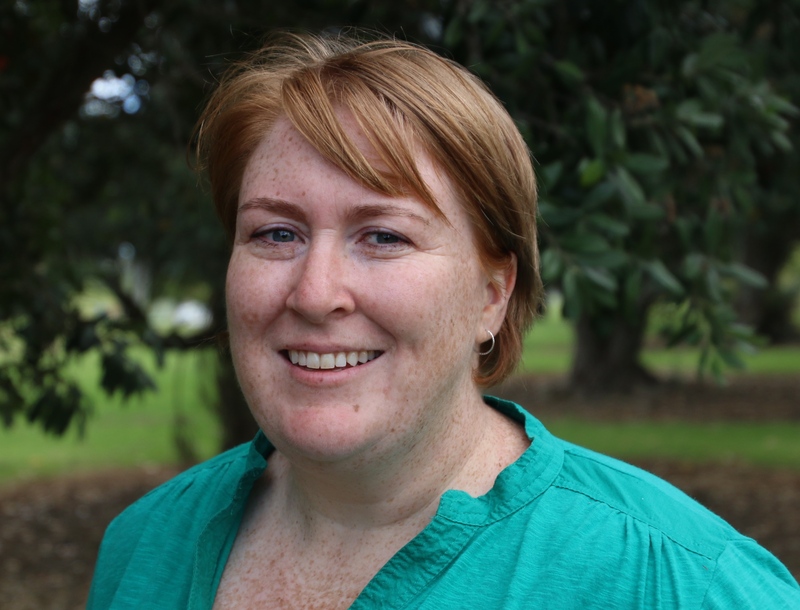 Sam Heggie-Gracie is an MSc student in the Centre for Biodiversity & Biosecurity, School of Biological Sciences, University of Auckland. He is investigating the drivers of bird composition in cities. He is supervised by Margaret Stanley and Cheryl Krull (AUT).